In the cold and dark days of winter, it’s tempting to forgo an evening out in favour of curling up on the sofa and getting stuck into a box set. In December, the BBC brought back a host of programming to iPlayer for the holiday period, ranging from classic dramas and comedies through to natural history and family programming, while Sky offers hundreds of drama box sets to its customers. At BARB, we are able to measure non-linear viewing on a TV set like this in the same way that we measure traditional broadcast television viewing, by using an audio-matching process. The software meters attached to the TV sets in BARB panel households take an audio sample of the programme, which is then turned into a digital fingerprint and matched to a reference library of programmes. Normally, BARB builds its reference library of programmes by monitoring the linear schedules. In the case of these non-linear programmes, we rely on the rights owners providing us with a copy of the programme assets before they are made available through an on-demand player app. 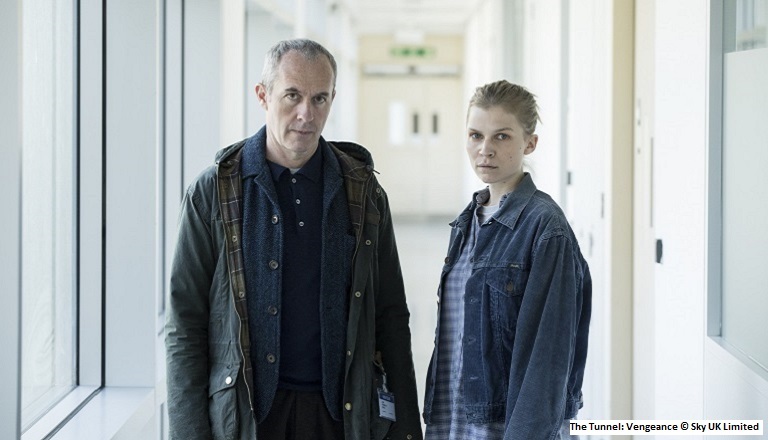 The BBC has been working with BARB to measure programmes in this way for nearly two years, while Sky has recently started to use this technique to understand how people are watching its box sets, providing programmes assets for its crime thriller The Tunnel: Vengeance over Christmas. Looking at the most-watched non-linear programmes for which the rights owners had provided assets over the festive period, half of the top 10 were children’s titles on BBC iPlayer. Room on the Broom and Stick Man, the animated adaptations of writer Julia Donaldson and illustrator Axel Scheffler’s picture books, topped the chart with average audiences of 328,000 and 295,000 respectively. The top 10 also includes three entries for The Tunnel: Vengeance (pictured above), while the top 30 is dominated by dramas on iPlayer, from the sole newly-released title, Feud: Bette and Joan, through to previously broadcast programming such as Sherlock, Line of Duty and Happy Valley. One caveat to this chart to note is that if any of the titles were available on another service at the same time, we cannot distinguish which service viewing took place on; for example, Line of Duty was available to watch on Netflix as well as on iPlayer in this period. But whether it’s adults catching up on a recent drama or the kids enjoying an animated film, we can track which non-linear programme is being viewed, and who’s doing the watching. Table includes content from rights owners that have provided their programme assets for measurement by BARB.